That means that for me (EU), the original ones are the only option. just get a new set at the best price you could possibly get if you wanna drive your car for the next 80-100k miles with little worries. how can you tell they were used? Why get a canned tune? You can get a custom tune from one of the best N54 tuners for less. I got 2 new and one used. The new ones were in a plastic box and the head was capped. Used one was just bubble wrapped and put in a cardboard box. The used one had also scratch all over it also in the PTFE seal and it had really old index number. Wonder if calling them and placing a order with a live person to make sure they are all -12 injectors would help? they have listed two options, one is the FJ1050 and the other one is the artex/wells 4G2153. similar price, but different availability. Which ones are recommended? do they come with the decoupling ring? 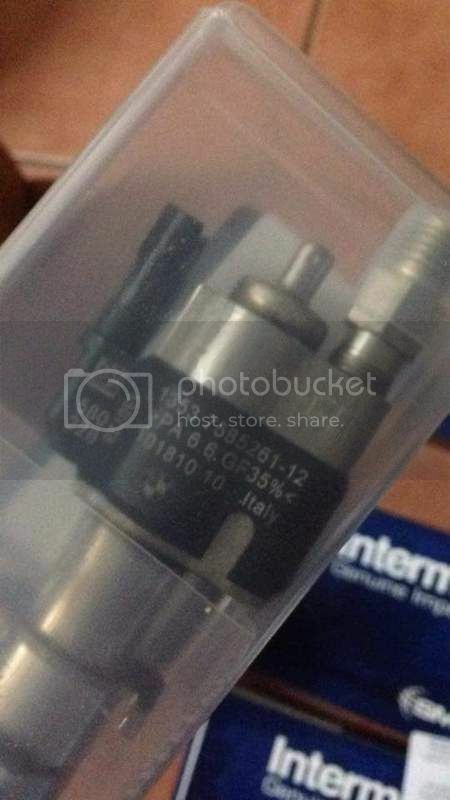 realoem list the injectors as part nr 13538616079, but I guess the older one works as well 1353758261, correct? I think the Delphis are better. any recommendation on the injectors? I ordered 6 FJ1050s a few weeks ago and recieved 6 index -12 injectors with BMW roundels. They appeared new, with covers on the fuel fittings and over the seals. I've only had them in for about 500 miles now but they run perfect. I had a slightly rough idle, and what seemed like a dead cylinder or two on cold starts. Runs great now. I just ordered 3 from rock auto and they did come with decouplers and an extra seal. I ordered one about a month ago and it did not come with the decoupler. all were index 12. I to ordered 6 new ones from rockauto. Specifically mailed them for index 12 injectors, just to be sure. And they delivered. 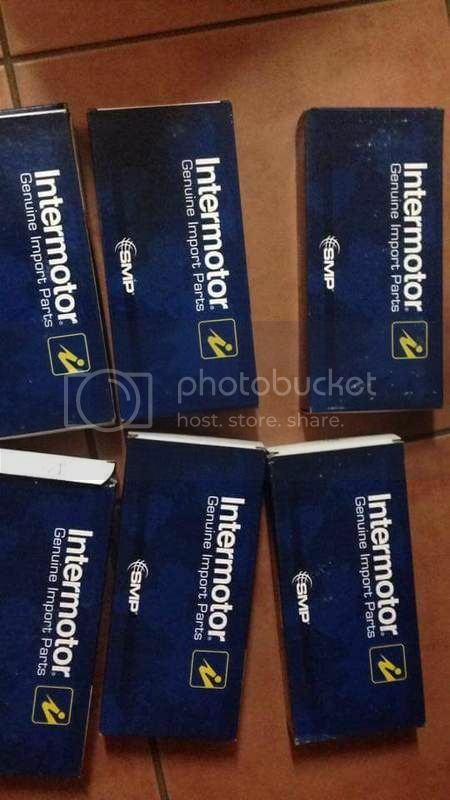 6 brand new index 12 injectors with bmw logos. The ones i got had decoupling elements and o-rings in the box. There should also be O-rings pre-installed on the injectors. Not sure why the put an extra o-ring in the box. It is so weird. I called both Rockauto and SMP and they both saying the part FJ1050 doesn't come with O-rings preinstalled. May I ask when did you placed the order? Have you opened the cap and installed the injectors? Your came with oring pre-installed? You didn't have the injector tool ready before you install it? Many thanks for your info. I supposed to install the injectors today. I really don't want to spend another $200 for the oring tool. I believe I ordered them in october, I was curious as well when i found an oring in the box, I was thinking, great now I have to figure out how im going to install these. I tried pulling off the cap it it came off really hard so I knew the oring was on there. Maybe for an N54, that's not the case for the S63 though. I've also posted this in another thread. Some people have reported receiving non-Index 12's from RockAuto. I searched through my emails and found an exchange I had with their customer service rep regarding sending Index 12's. Luckily all of the ones I received were brand new Index 12's. They also came with new couplers and o-rings. Me : Please send me "Index 12" for all 6 injectors. The part number printed on the actual part is different from the part number printed on the box. Please open each box and visually check that each injector's part number ends in "-12". RockAuto customer service : Unfortunately, we are special ordering this directly from Standard Motor Products. I called and spoke to their customer service who informed me they are not able to do stock checks as you are requesting. They did indicate that their stock comes from different suppliers, so they cannot guarantee a particular series. However, if the injectors you receive are not what you want you are absolutely able to return them using our Order Status & Returns page online. I got them from rockauto too, all index 12, with extra o-ring and decoupling element.